The Next Warrior | A webnovel on the future of warfare. In the coming decades, monstrously terrifying and holistically awe-inspiring feats of engineering will be the inescapable reality of the future of warfare. On the battlefield of the near future, warriors will need to leverage new technologies, new tactics, and endure new tribulations as they face an ever-evolving host of enemies. The Next Warrior tells the stories of a few of these warfighters, and their individual quests to overcome the forces of the upcoming era of combat. Read how Marines, soldiers, airmen, insurgents, and even their terrorist adversaries will be challenged with surviving the same emotional trials and tribulations of warriors past, while seeking to win in the next era of conflict. 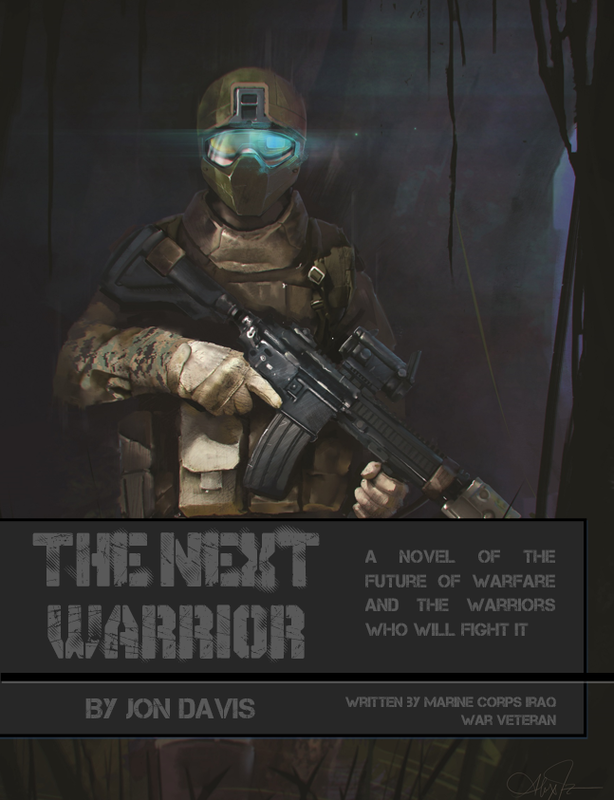 The Next Warrior is written by Jon Davis, a Sergeant of the United States Marine Corps and veteran of the Iraq War. The Next Warrior is based on real projects currently being funded and under development by the United States Department of Defense and DARPA, the Defense Advanced Research Projects Agency. The goal of The Next Warrior is to create an immersive narrative with attention to detail and focus not just on the technologies themselves, but how they will actually be used by tomorrow’s frontline troops. The stories are written to communicate as detailed and realistic a story as possible for readers wanting more than just military science fiction, but a quality military nonfiction… which just hasn’t happened yet. The Next Warrior is delivered weekly every Wednesday. To begin reading The Next Warrior start here. The Next Warrior is supported by fan donations via Patreon.com. Those who donate get access to special bonus features, such as technology news on items being showcased, author’s notes and commentaries on the story behind the story, as well as bonus artwork, become a patron of Jon Davis by following this link. Support the Next Warrior.